Understand ADHD and how it uniquely impacts you. Identify strengths and the ways YOU are wired to win! Extra support and encouragement from your coaches and the group. Space is limited to maximize your opportunity for support and interaction. Miss a session? We want you there, but life happens. When it does, we’ll share a recording to catch you up. Or, make two payments of $190 each. Just Imagine! 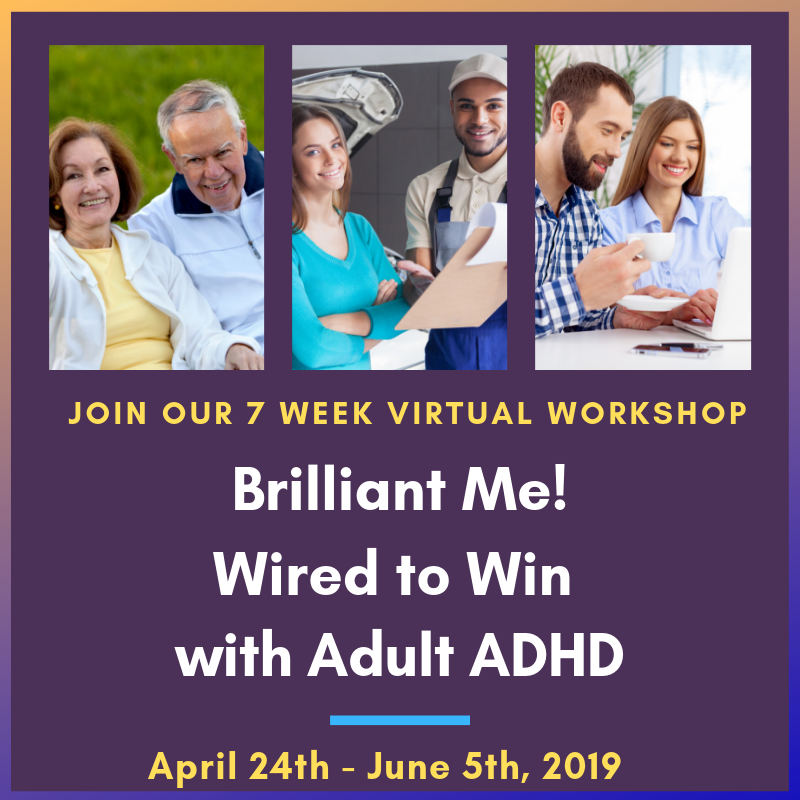 Over a period of seven sessions you will receive coaching and interactive group support while working on new skills, systems and strategies to begin experiencing more success and peace in your life and change the way you live with your ADHD. How would it feel to really ‘get’ how your brain works? What could result from using more of your strengths and unique brain wiring in positive ways? Would your life be a little easier and more enjoyable if you could minimize the impact of your ADHD symptoms? What difference would you experience if you could manage time easier to avoid unnecessary upsets and frustration? How might your self-esteem and confidence change if you were able to start, persist and finish with goals and intentions? Don't let ADHD define you or negatively impact the life you are intended to live.